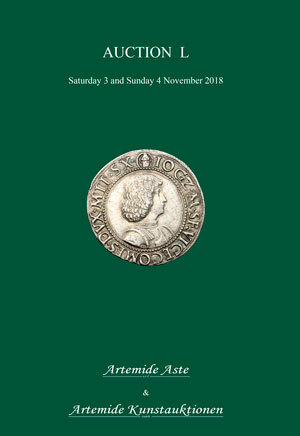 Coins 311 M. Junius Brutus. 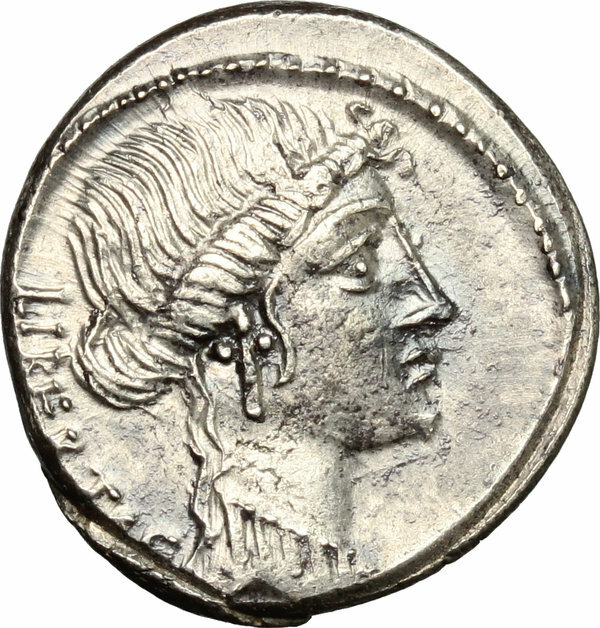 AR Denarius, 54 BC. D/ LIBERTAS. Head of Libertas right. 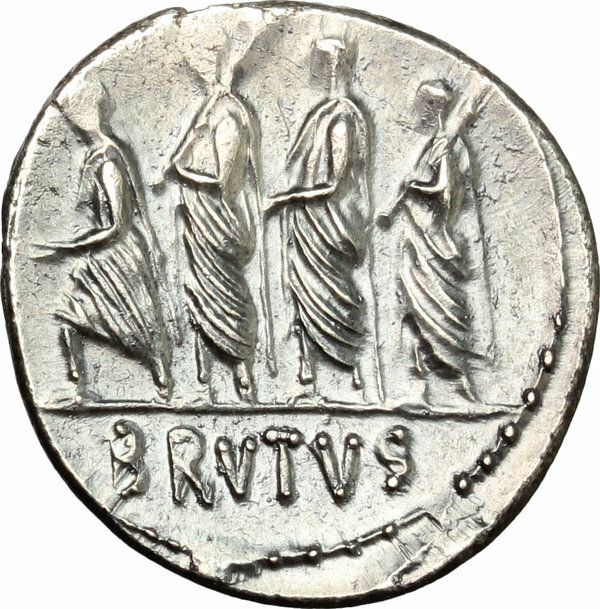 R/ The consul L. Junius Brutus the Ancient walking left, between two lictors preceded by an accensus; in exergue, BRVTVS. Cr. 433/1. B. (Junia) 31. AR. g. 4.09 mm. 19.00 An overweight example, brilliant and superb. Lovely old cabinet tone, underlying luster. EF.